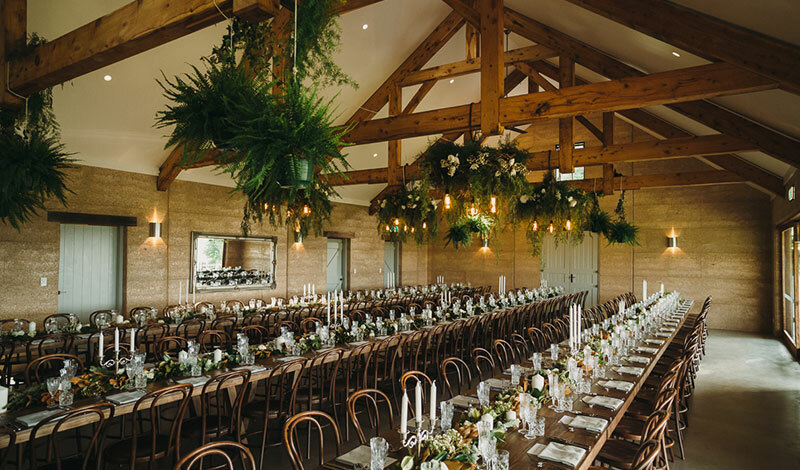 This unique venue features an architecturally designed rammed earth purpose built building allowing your guests to enjoy the serene views overlooking the Byron Bay Hinterland, whilst they wine & dine the night away. With no need for a marquee on site, The EarthHouse makes for a very attractive location to host your wedding. Fondly known as a homely estate, it presents with an open fireplace, polished concrete floor and a stunning cathedral ceiling with exposed timber beams. 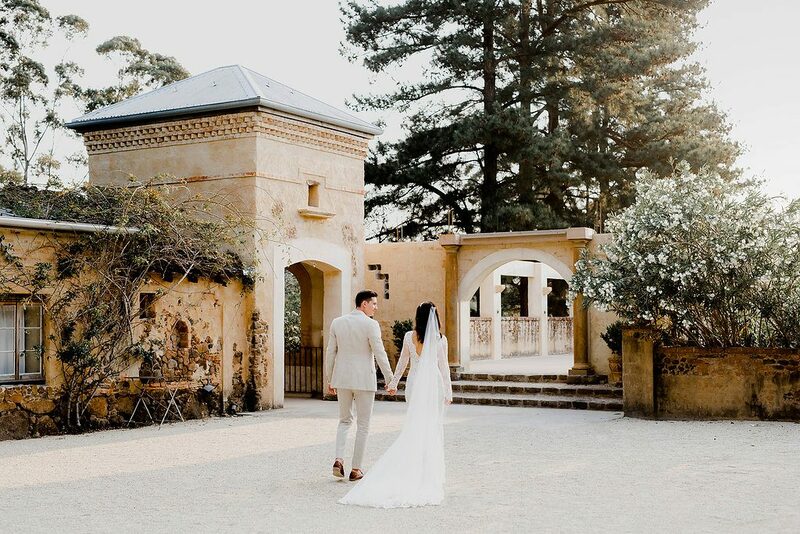 The magnificent 100 year old fig tree and established gardens create the perfect backdrop for an Australian country inspired wedding. Rae's is located directly on the beach at Wategos, Byron Bay. When you book your wedding or special event at Rae's the entire hotel is yours for a minimum of 2 nights. 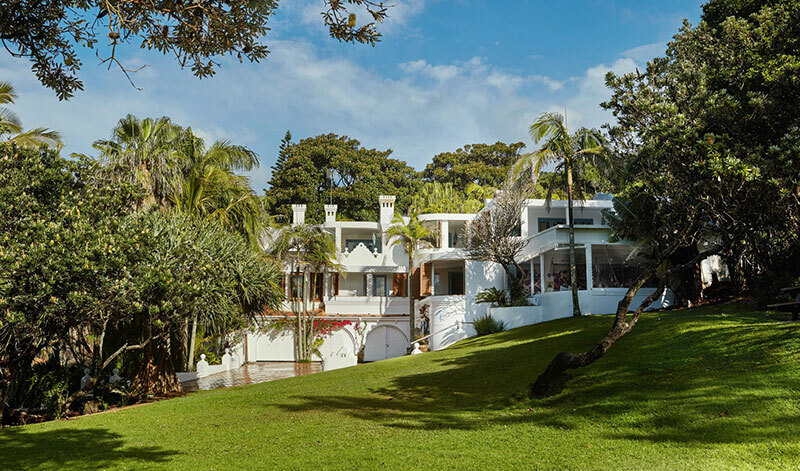 This iconic land is right at Cape Byron's doorstep and beneath the iconic Byron Bay Lighthouse. The lawn area can be booked through Cape Byron to host your ceremony and the views are incredible. Rae's is romantic and has a restaurant seating for up to 60 guests or a marquee area can be booked for up to 75 seated or up to 80 cocktail style. Minimum spends are required and the venue is by far the most spectacular location for a Beach wedding. Bangalow Guesthouse is a beautiful nostalgic home and is in walking distance to the famous Bangalow farmers market, Heritage House, restaurants and some of our favourite boutiques including Island Luxe. 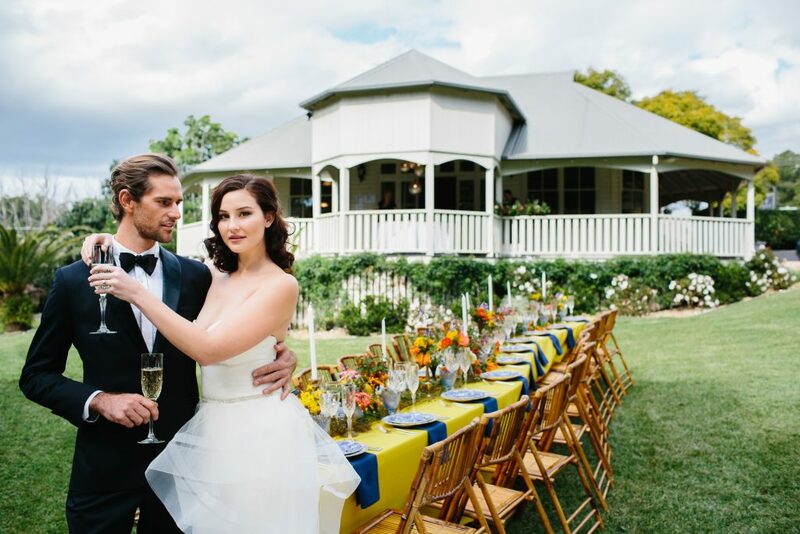 Just a 10 minute drive to Byron Bay, it is a wonderful venue for local weddings and events and is in walking distance to churches of many denominations. Over the many years we have created some memorable events including a 70th birthday, ladies lunch and a 5 star dining experience for executives. It is truely special and comes with a lot of interesting heritage and history. Contact us for further information on this beauty. Set on the banks of the River, this Horse Ranch is just a mix between Australiana meets California country. The lovely owners Chris and Fred, take great pride in providing everything you need to stay and play on the land. RR is approved for up to 120 guests and the horses stable has been converted for a fabulous dining and dance area. 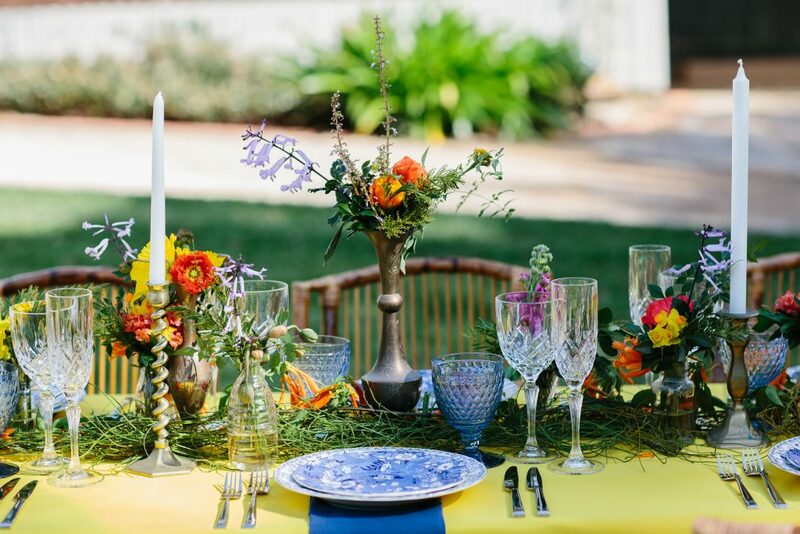 With the modern bride today loving the boho styles and magical settings of the country side, RR will be a show stopper and totally affordable for you and your guests. I would love to show you this little gem, just 1 hour from Ballina airport and plenty of stunning accommodation on the beaches of Yamba and Angourie. The Belongil is located directly opposite the beautiful Belongil beach main entrance. Not only can you plan your dream wedding reception, you also have the option to have your ceremony all at one location, utilising either the beach or grassed area directly across the road. The open plan restaurant transforms into an intimate, warm, wedding venue. The Belongil is a venue that offers a great price point for locals, provides an excellent venue for corporate clients, birthday parties and gatherings and for pre and post wedding events. It is located in walking distance along the beach to Byron and is located amongst many styles of accommodation. 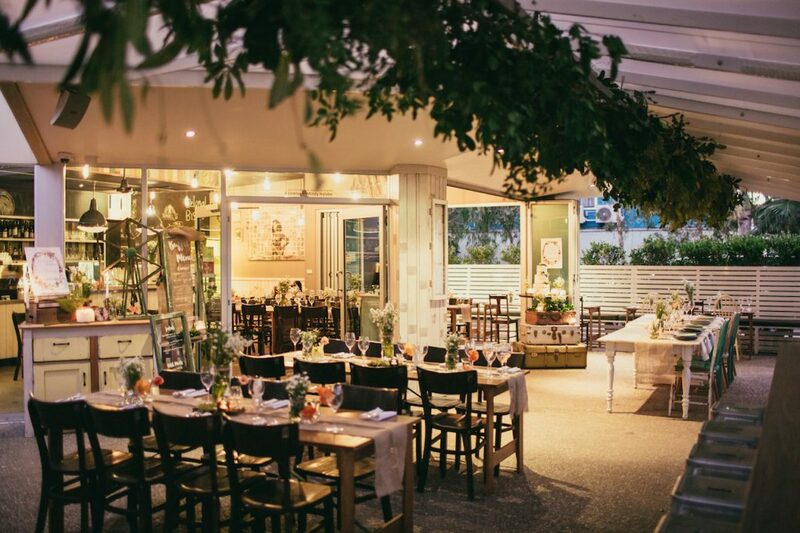 Whether you are planning a beach wedding, garden ceremony or a chapel service, hatted restaurant Beach Byron Bay is an unforgettable venue. 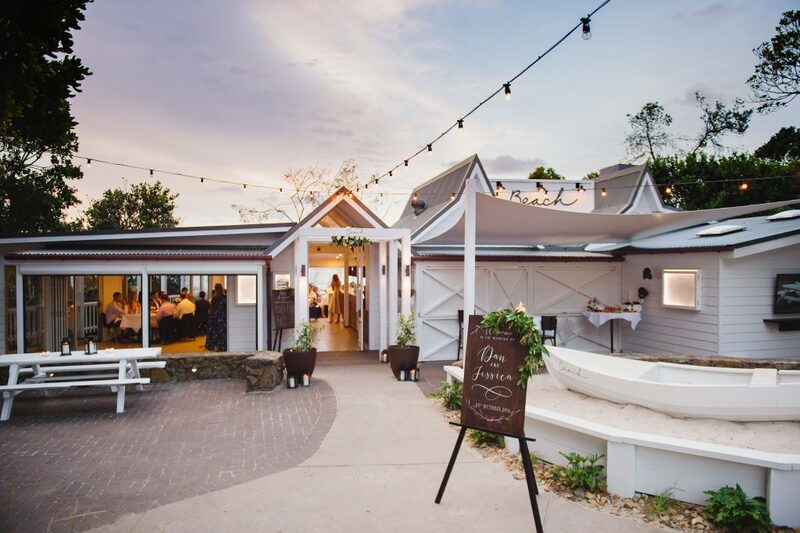 Positioned on one of the world’s most beautiful beaches, couples can exchange their vows at Clarkes Beach before strolling to their reception venue; or take a short drive from The Pass, Wategos, Byron Bay Lighthouse or the hinterland. Once arrived, delight in sunset drinks matched with unbeatable sea views from the beachfront deck, followed by the very best in local food and drinks..